Have bad credit? Your Credit Score doesn't matter! Any Credit Situation will be financed. YOU HAVE BAD CREDIT, NO CREDIT, FIRST TIME BUYERS, CHARGE OFF OR REPO DON'T WORRY. We know it isn’t always easy, don’t fright. Come in and we can make something happen for you. You can leave with the car same day! ALL OUR CARS ARE CERTIFIED PRE-OWNED. WE DON'T REQUIRE FULL COVERAGE INSURANCE!ID AUTO MALL is Home to the Finest Luxury Vehicles in the Tri-State area and Beyond. Our large selection of low miles, premium colors and most equipped automobiles at excellent conditions and low low low prices assists you to make your car buying decision on the spot. All trade-ins are welcome.WE BUY CARS! ANY MAKE ANY MODEL! NO JUNK!WE BUY CARS! ANY MAKE ANY MODEL! NO JUNK!The details and information displayed here are subject to change and are only relative to this moment. The price advertised here does not depict sales tax or other fees required by law, finance charges or any documentation charges. Price does include dealer rebates and/or incentives. Cars come with a 3 month 3,000 mile warranty covering engine and transmission only. The vehicle comes cosmetically as is. The information advertised is posted to the most possible accuracy. Human error is of occasion, however. To verify, clarify, question or discuss anything you read here, give us a call (718)254-9999. Come take a no obligation test drive or feel free to have your mechanic inspect any car BEFORE you buy.Internet special must present advertisement at time of sale. Excludes all prior offers. All prices based on 720 tier one credit, must finance 90% through dealership to get advertised price. NADA retail price applies to all cars. All vehicles must pass New York State inspection prior to delivery. Price includes all costs to be paid by the purchaser, not including tax, title, license, document preparation fee, processing, destination charges, finance charges, or any reconditioning fees. Vehicle option and pricing are subject to change, pricing may vary with options. Price includes all dealer rebates and dealer incentives. Cars sold cosmetically as is. Vehicle pricing includes all offers and incentives. All advertised vehicles are subject to actual dealer availability. Certain vehicles listed may not be available, or may have different prices. Every reasonable effort has been made to insure the accuracy of the information contained on this site, however absolute accuracy cannot be guaranteed. This site, and all information and materials appearing on it, are presented to the user "as is" without warranty of any kind, either express or implied. All vehicles are subject to prior sale. Dealer is not responsible for any errors or omissions contained on these pages. Please verify any information in question with a dealership sales representative. All internet special prices expire 12.01 pm today. Hurry up they are going fast!! Here at ID Auto Mall, we carefully prepped and serviced quality vehicles, consistently below Kelley Blue Book values. Our specially trained finance office has nearly 30 years of experience in the field, assuring you get the best price on your pre-owned coupe, sedan, convertible, truck, mini-van, SUV, passenger van, or cargo van. Looking to finance? We have more than a dozen banks ready to give you a loan with the most convenient payment plans available. Set up weekly, bi-weekly, monthly, or other payment plans to fit your needs. Capital One Diamond Dealer, Gateway One, Credit Acceptance, Chase Manhattan Bank, M&T Bank, Santander, Drive Financial, TD Bank, and Westlake Financial are just a few. All prices are after three thousand dollars down. Visit the only Dealership with a Sign and Drive program! Job must verify. 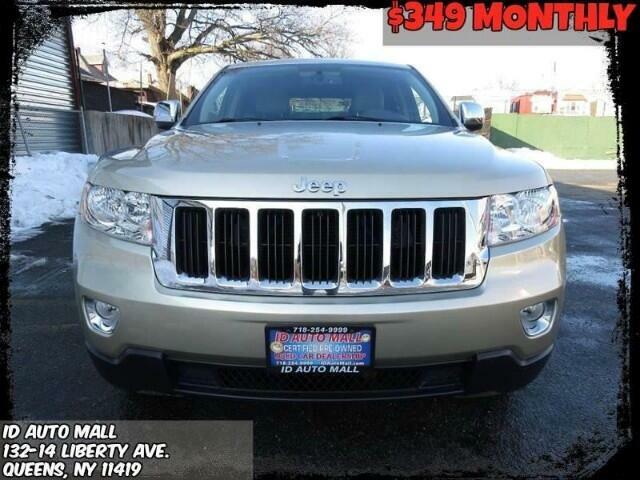 Contact us today at ID Auto Mall for real deals, real savings, and a pleasant buying experienceVisit ID Auto Mall online at idautomall.com to see more pictures of this vehicle or call us at 718-254-9999 today to schedule your test drive.